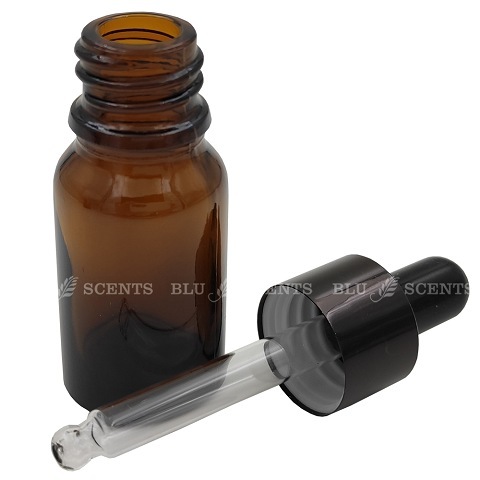 Simply add 6-8 drops of Blu Scents Breathe Easy pure essential oil, light up tea light candle in lower chamber then fill upper reservoir with water for a gentle diffusion of aroma & create your own restful sanctuary. Don’t let the oil burner burn dry, refill water as necessary and wash it with detergent after used. For bathing, add 8 - 10 drops of Blu Scents Breathe Easy pure essential oil to the warm bath water when the tub is 80% full. Close the door of the bathroom so the vapours don't escape. Soak for 20 - 30 minutes, breathing in deeply to get yourself relax. For foot bath, add 3 drops of Blu Scents Breathe Easy pure essential oil to a bucket of warm water, soak for 10 - 15 minutes, it is also one of the effective ways in improving your blood circulation. 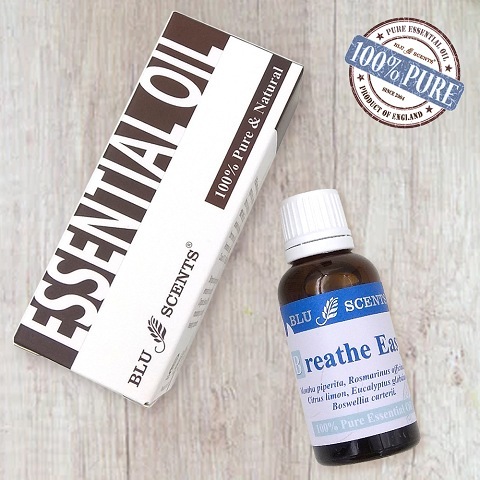 For massage, you are advised to blend 6 drops of Blu Scents Breathe Easy pure essential oil into a 10ml of carrier oil, such as Sweet Almond oil , Grapeseed oil or Organic Sunflower oil. Facial steaming is very helpful in opening the follicles and allowing a deeper cleansing of dirt, grease and blackheads; increasing the circulation of the blood to the face so that the tissues are nourished and this will leaves the skin feeling soft, and gives a healthy glow to the complexion. Thus, steam cleanse your face once a week by adding 2-3 drops Blu Scents Breathe Easy pure essential oil to a bowl of warm water and placing a towel over your head to trap the steam, or by using an electric facial steamer. Always remember to keep your eyes close and finish the treatment by splashing your face with cold water to tone and refresh the skin. 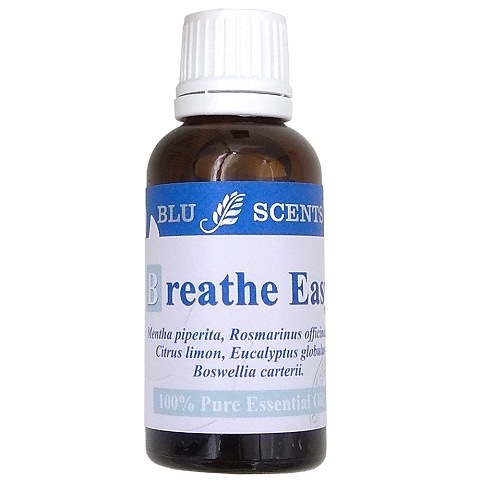 Add in 10 drops of Blu Scents Breathe Easy pure essential oil to 100ml of water or alcohol, to make a powerful antiseptic aromatherapy spray. Add 3-5 drops of Breathe Easy pure essential oil to a bowl of hot or cold water, soak the cloth, wring and apply to the affected areas.